(Newser) – Police believe the 19-year-old University of Pennsylvania student found dead in a California park knew his killer. 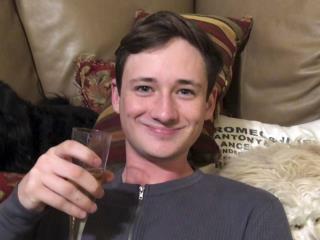 Samuel Lincoln Woodward, 20, of Newport Beach was arrested Friday in the death of college sophomore Blaze Bernstein; the AP reports the two were friends who had gone to high school together. Per Orange County Undersheriff Don Barnes, Woodward was the last person to see Bernstein alive, and DNA evidence spurred the arrest. Woodward had told police the two drove to Borrego Park on Jan. 2 and that Bernstein walked into the park by himself and did not return. Court filings back up initial reports: That a sheriff's investigator thought Woodward seemed nervous during their interview, that he had scratches on his hands and dirtied fingernails, and that he tried not to touch the building's doors. They gave enough hints out that his old school bud was the one. His poor parents - that's a betrayal that hurts. There's a story still yet to tell. RIP Blaze. Yes??? ?In his honor a random act of kindness I will do? ?Healing peace, I'm so sorry.